League of Legends is probably the biggest online multiplayer game right now. And one of the biggest teams that the game has is the Korean team SKT T1. 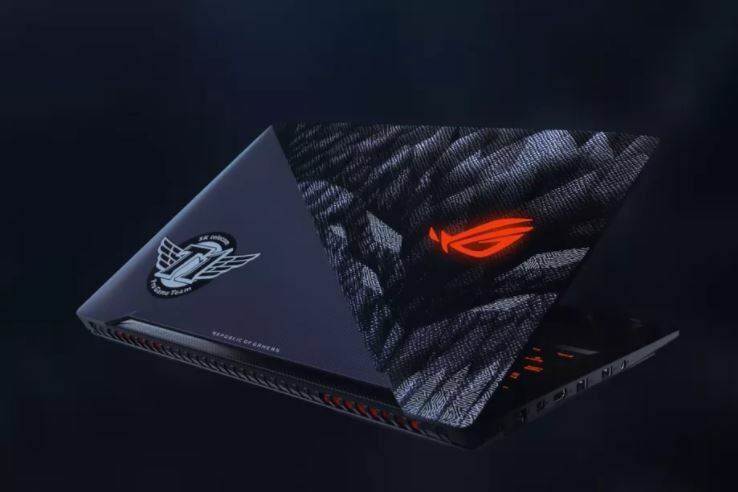 Asus has partnered up with them to bring out a new addition to their super-popular ROG (Republic of Gamers) Strix laptop line. The new laptop is called the Asus ROG Strix SKT T1 Hero Edition. While that is a very big name to say, it’s also one of the best devices you can game on. It’s built to run the multiplayer online battle games that demand high graphics, namely League of Legends and Dota 2. Talking specs, this beast uses an Intel Core i7 7700HQ processor and an NVIDIA GeForce GTX 1060 graphics card to display everything smoothly. The chipset is an Intel HM175 Express Chipset. Featuring a 16GB RAM, it also has a 1TB 5400RPM SSH-8GB Hard drive and a 256GB PCIE Gen3X4 SSD. The display is a 15.6-inch LED backlit FHD screen with a resolution of 1920×1080. With a wide 178-degree viewing angle, you can enjoy gaming to the fullest. The laptop is clad with Faker’s signature. Faker is SKT T1’s most famous member, who utilizes crazy outplays to destroy his enemies. Moreover, fans of SKT T1 will be glad to know that the laptop also comes with a jersey of the team, a mousepad and posters of all the members of the team. All the new Asus laptops (and desktops) will also receive Aura Sync lighting effects and the Strix SKT T1 is the same. This will let users to customize the RGB lights according to their own wish. The ROG Strix SKT T1 Hero Edition is priced at a hot $1,700 and will be available for purchase in the next month or so.